-DO NOT under any circumstances pick or touch your face, this will create scarring. My dermatologist calls them "blood tattoos". Scars fade over a long, long period of time. - Wear sunscreen every single day. Even, if it's not sunny, it's so important to protect your skin from sun exposure that creates wrinkles, dark spots, darkens acne scars, and lets not forget increasing your chances of skin cancer. - Just because your tanned and not burnt, does not mean your not damaging your skin. Just because you tan easily does not mean you have chances of developing skin cancer. So wear sunscreen. - Sunless tanners are safe, long lasting, and nourishing for your skin. - Everyone needs moisturizing. Yes everyone. Oily skin? Not moisturizing can actually produce more oil causing you to break out even more. I have oily skin and I only moisturize at night. Mature skin? 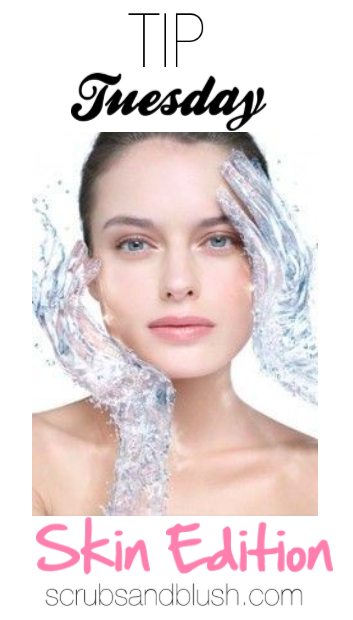 Not using moisturizers dry out the skin and accelerate signs of aging. - Get a yearly check up with your dermatologist for a mole check and to discuss any of your skin concerns. I did this a couple months ago and it was the best decision I ever made. - Don't wear makeup every day. Have at least one day to three days where you don't wear makeup to allow your skin to "breathe". -Don't smoke. Smoking accelerates signs of skin damage or aging by narrowing your blood vessels, decreasing blood flow that starve the skin from the oxygen and nutrients that it needs, AND damaging the collagen fibers and elasticity that keeps the skin full and prevents it from wrinkling. Yikes! -Turn the water to a cooler temperature. Showering or bathing with hot water everyday strips the skin from it's moisture and oils it naturally produces.